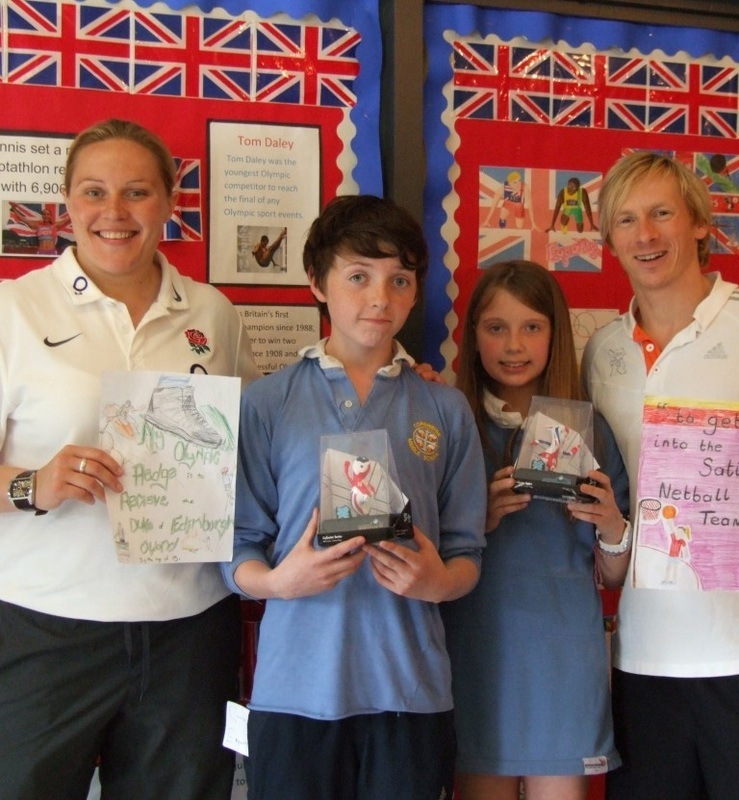 British Olympic gymnast Craig Heap visited school on 18 June as part of our Olympic celebration week. Craig was also joined by Katy Storie, who plays for the British women's rugby team. The morning began with an inspirational talk from the two athletes who told us about their career as an athlete and the challenges they faced. the seven Olympic values: Respect, Excellence, Friendship, Determination, Inspiration, Courage and Equality. We also enjoyed a number of workshops provided by the athletes: six-keys-to-success with Craig Heap; Katy Storie delivered a team building activity: rugby warm ups. A competition was launched which required students to produce an inspiring goal they wished to achieve, inspired by the London 2012 Olympics. Two winners were selected from Key Stage 2 & 3 and they are show on the photograph opposite with their prize, alongside Katy & Craig. An afternoon of sporting and team work activities delivered by Craig & Katy, embedded their message and inspired our students to get involved in and follow their interests in sport. It was a wonderful day and was enjoyed by all those who took part. Thank you Craig and Katy ...and Mrs Parkin for organising the event!